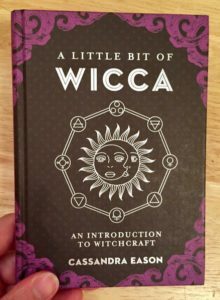 There are so many titles on witchcraft out there – it can be hard to know where to get started. When you walk in and are faced with what seems like an entire bookstore of potential titles, where does one even begin – especially when you don’t know a Wiccan from a Druid, and you’re not sure what a Tarot deck is other than you probably shouldn’t play poker with one. The “A Little Bit” series has quite a few titles in it, each tackling a different topic. A Little Bit of Wicca: An Introduction to Witchcraft is a prime example of this. The slim hardback is the perfect size to take with you on the go – and its bite-sized nature means it’s not a huge time commitment for curiosity seekers. It’s a great title to get started with because it’s so basic. 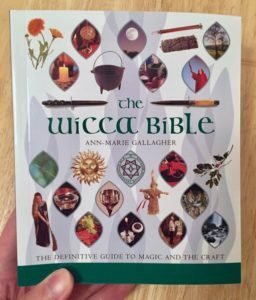 While there isn’t a Bible for Wicca and paganism the way there is for Christianity, the book The Wicca Bible: The Definitive Guide to Magic and the Craft provides an overview of Wicca – detailing the history of the craft and modern practices, giving newcomers information on how to start their own worship. This book is great if you know you want to delve a little deeper from the start – with 400 pages, it covers plenty of ground, while still maintaining a compact size for easy transport. Christmas isn’t just a repackaged Yule, no matter how much we like to joke about it, and Samhain isn’t just another word for Halloween. Once you start delving into the craft, it’s easy to find references to the wheel of the year and the holidays, but many books only provide a basic overview of them. For a new practitioner, it can be confusing when there’s not more information on what the holidays mean and only a basic look at how to celebrate them. 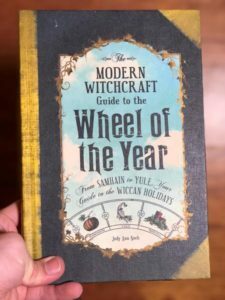 The Modern Witchcraft Guide to the Wheel of the Year: From Samhain to Yule, Your Guide to the Wiccan Holidays is great for new practitioners who want to learn more about the core holidays. The book also includes easy to follow rituals and a bit about the history of each. Anyone interested in the craft can pick it up and have their holiday plans prepped and ready to go. When you think of paganism, most often you think of Wicca. It’s one of the fastest-growing religions in the US and is probably the largest single pagan religion. However, that’s not all there is to witchcraft. 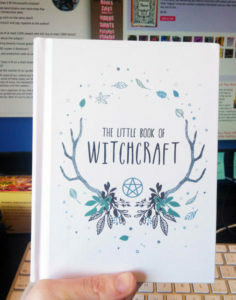 The Little Book of Witchcraft is a compact, non-denominational guide to the basics of witchcraft. This book is a fantastic choice for new practitioners who don’t want to be tied down to a specific pagan group or for curiosity seekers who want to learn a little more about what falls into the big category of “witchcraft”. Bad puns aside, Wikipedia has become a backbone of encyclopedic knowledge, providing an overview of a variety of subjects in an easy to access format. 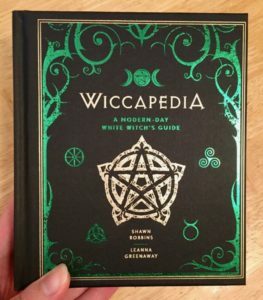 Wiccapedia: A Modern-Day White Witch’s Guide does the exact same thing for Wicca. Good for beginners and experienced practitioners alike, this little guide provides a surprisingly comprehensive overview of Wiccan practices and spirituality – with some how-to advice for people just getting started. Whether you’re interested in practicing, or if you’re just trying to broaden your horizons, these books are a great choice for anyone interested in learning more about witchcraft and the spirituality surrounding magic. What do you think? Are you ready to get mystical? Have a better suggestion? Share your favorite wicca/witchy/occult titles with us on twitter or instagram. This post was written by past intern and contributor, Lydia Rogue. Follow Lydia and all their awesome work on Twitter and Patreon.